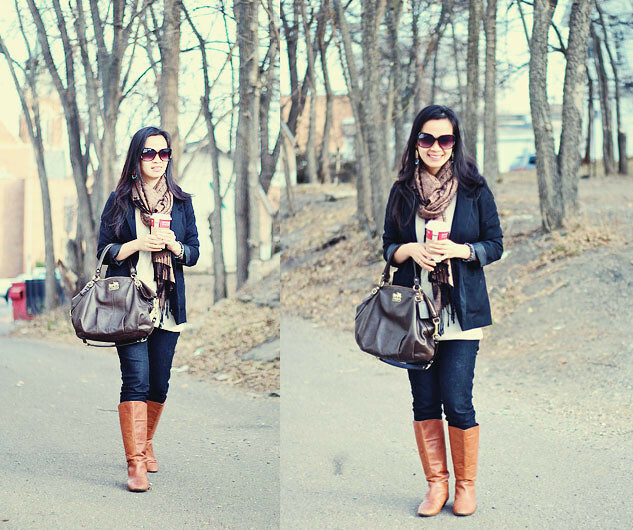 Lately this is what I have been sporting } scarf, comfy jeans (f21 $10.50!) 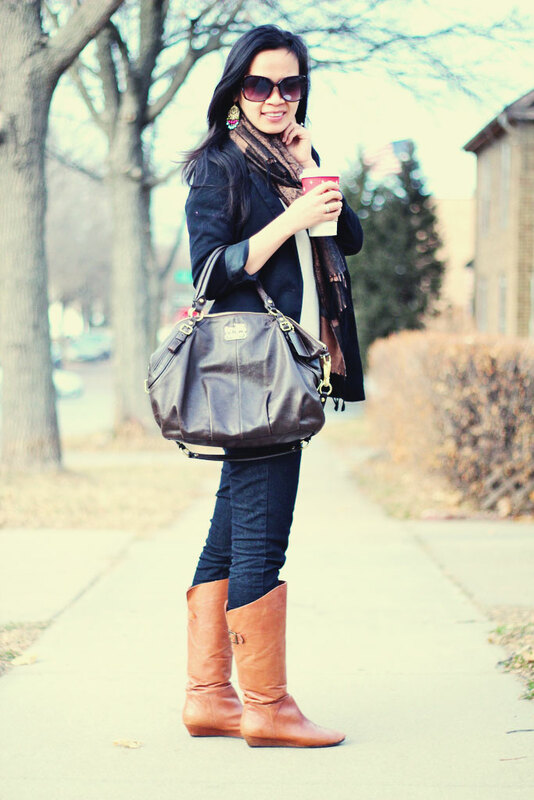 comfy boots and of course Caramel Brulee in the morning. My go to outfit as weather is slowly dropping. How's the weather in your neck of woods? Look carefully and you might see me in there! 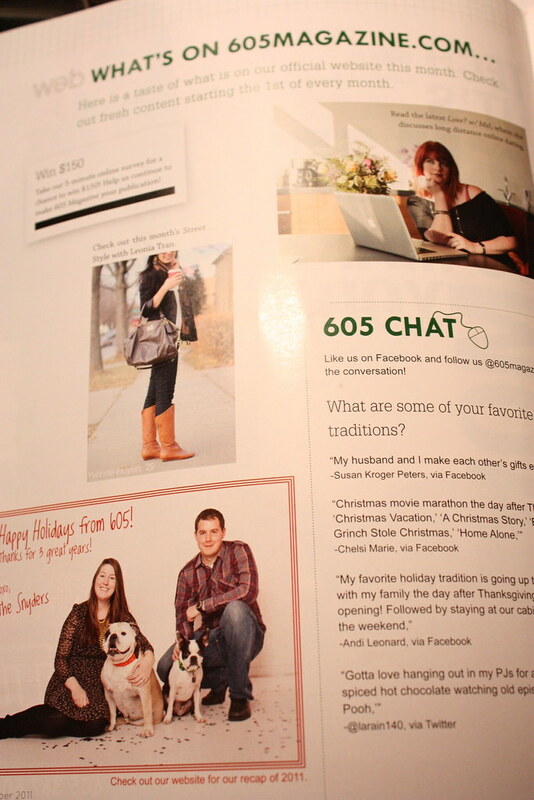 My sister is a journalist for 605 Magazine (our hometown mags) and had asked me to be in it. I need a HUGE HUGE favor from my awesome blogging friends! My company is promoting a new home values channel and they just want us to help them spread the words. All you have to do is simply just check out the new site. That's it! You don't have to sign up or do anything. The new site is simply helping others figure out the value of their home. Simply click here to check out the new site, plus don't you want to know the value of your home at the moment? Thank you so much! Starbucks should be compensating you for advertising for them. I don't drink coffee, but I do love their caramel apple cider! I love your scarf. My go to outfit usually consist of sweat pants and comfy shirt (the joys of working from home). You look casually chic missy and that's why you were featured in a mag. I really like the colors of your outfit. I love your outfits! 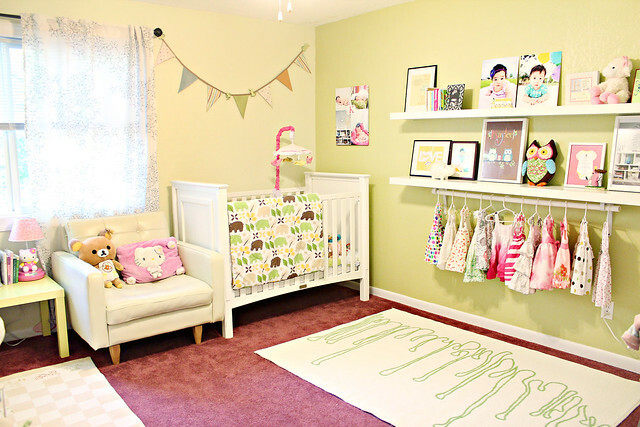 Super cute and very put together. Weather in southern CA has been warming up again, unfortunately. I want the cold weather already! Caramel Brulee is my fav too :-) Love this outfit but considering the weather here in 30s I have to be dressed in layers and Jackets! whoaaaa that's soo cool you are in that magazine!! you are adorable!! love the boots and congrats on the magazine feature! yummm caramel brulee i miss my daily starbucks.. especially during the wintertime.. gingerbread lattes ugh i'm so jelly.. we don't have a starbucks near us where we are living right now! your fall/winter outfit is adorable.. i love the color of your boots! ps. i checked out the website :)! Howdy! Someone in my Facebook group shared this site with us so I came to give it a look. I'm definitely enjoying the information. I'm book-marking and will be tweeting this to my followers! 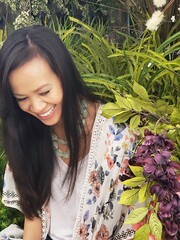 Wonderful blog and amazing style and design. You, babe, are one stylish mommy! LOVE your whole outfit. As for the weather over here, you would probably need some seriously down filled jackets to keep warm! Im surprised it hasn't started snowing yet! I love your look. I've just found your blog and I'm really loving it. It is so pretty and I love all the different things you post about. As a recently engaged girl I'm looking forward to taking the proper time to read about your wedding for inspiration! I'm a new follower :) Stop by my blog some time and say hi (and follow back if you're interested). OHmygosh! i am in LOVE with the caramel brulee latte! in LOVE i tell you! Cute casual outfit! Love the earrings too. So cool that you were featured in the magazine by your sis. Going to check out your home site now. Hope you had a wonderful weekend! i almost bought that bag! seeing it on you makes me wish i had bought it : ). oh, and i have to try that starbucks coffee! Is the purse the coach madison leather lindsey or the madison leather sophia satchel? interested in buying it now.